This week Buxton celebrates the well dressing festival, which began in 1840 to thank the Duke of Devonshire for piping a supply of fresh water to a well on the Market Place. Apart from a break between 1912 and 1925, the event has been held annually. Celebrations on the Crescent in 1864, the first year that St Ann’s Well was decorated. Since Thursday volunteers have been busy creating the dressings inside St John’s Church and this morning the results will have been installed at the three wells around the town ready to be blessed this afternoon. The blessing of Higher Buxton Well in 1910. The blessing of the wells starts with a service at St Anne’s Church on Bath Road followed by a procession that marches to each of the three wells in turn for a short blessing at each one. Afterwards the new well dressing Queen is crowned in a ceremony at St John’s Church. Next Saturday she will lead the annual carnival procession through the town. Festival Queen Florence Morten leading the carnival procession in 1925. The three wells are St Ann’s Well on the Crescent, the Children’s Well (or Taylor Well) on Spring Gardens and Higher Buxton Well on the Market Place. The displays remain up until the following Monday (11th July this year) for visitors and residents to enjoy. Buxton Museum and Art Gallery has a large collection of photographs and postcards that record the history of well dressing in the town, including wonderful well dressings, former festival queens, prize-winning parade floats and spectacular street scenes. Thanks to the people who collected them and the generosity of our donors and supporters, we’ll be able to keep and look after these snapshots of Buxton tradition for future generations to enjoy. May pole dancing on the Crescent in front of St Ann’s Well, 1912. More information about Buxton well dressing and associated events can be found on the official festival website here. 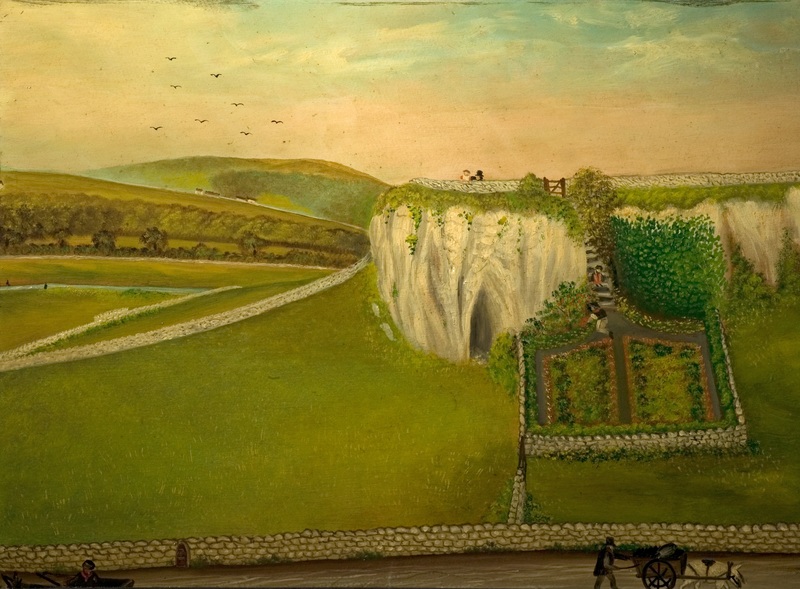 This week’s blog is by volunteer archivist Ian Gregory, who is currently documenting Buxton Museum’s collection of postcards, not to mention lending his expertise and enthusiasm to the Collections in the Landscape project. The first impression is either twee or reassuring, depending on your point of view. Four young girls are dancing round a maypole at Buxton Well Dressings. The year is 1907, a time often associated with innocence and prosperity. It is widely believed that well dressing goes back to pagan cultures where springs, rivers and lakes were sacred to or even physical manifestations of powerful deities. This was the view I was brought up with. For a long time, I never questioned it. Then I raised the subject with a friend and he disputed this view. Apparently, there are no records of well dressings before the 17th century and some Peakland villages only began doing it in the 20th century. Well dressing is, in my friend’s opinion, a statement regarding the distinctive character of the Peak District, but one more recent than is generally assumed. That said, I still respect the artistic standards achieved by the well dressers. They show real talent. More information about the Buxton Well Dressing Festival. We recently accepted a donation of photographs that belonged to a lady called Miss Dorothy Thomas, who used to lived on Leek Road in Burbage, Buxton. 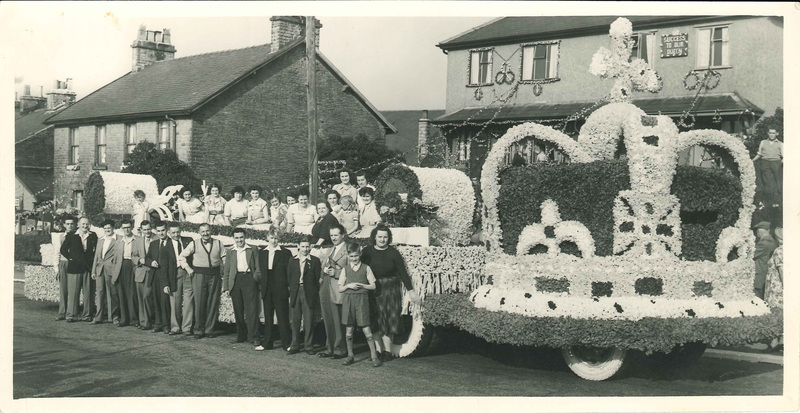 The photographs were given to the museum by her niece, Myfanwy, who thought they might be useful for us as they show floats entered by Burbage Youth Social Club in Buxton well dressing festival and Chapel-en-le-Frith carnival in the 1940s and 1950s. We would love to know more about this photograph. Can you tell us anything? There are also several photographs of the Burbage Youth Social Club building decorated for the wells dressing, and of a Mr Franguplo, who lived on Bishops Lane in Burbage. We are told that he made his money in the Manchester textile trade and funded the youth social club building, as well as other philanthropic causes in his adopted town. 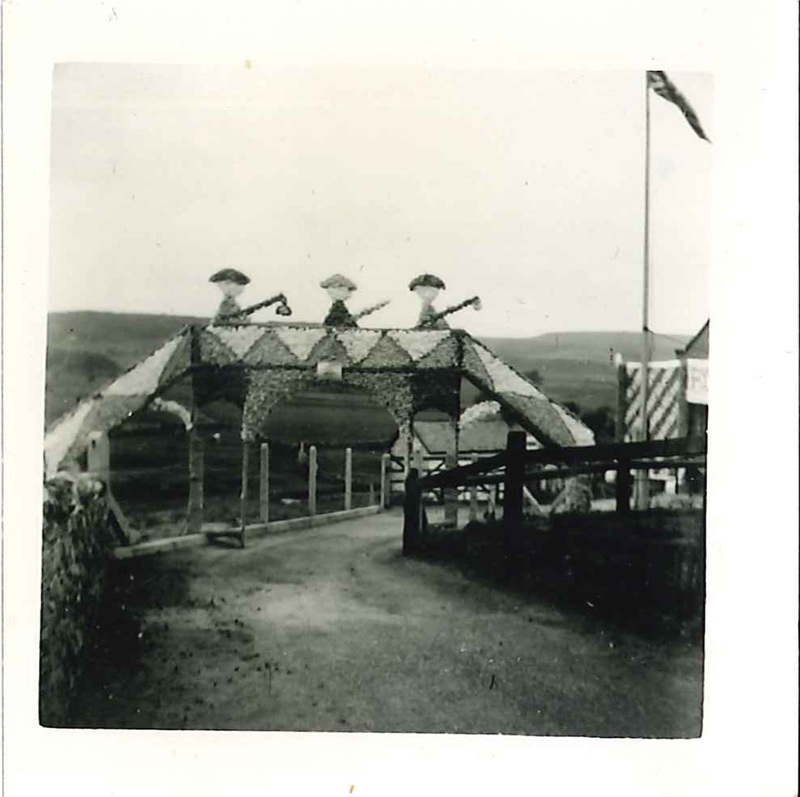 Willow Pattern Bridge over Buxton Youth Social Club driveway, June 1957. Looking at these photographs, you can see how much hard work and effort went into creating the spectacular floats and costumes, mostly with fresh flower petals. Work didn’t stop there as houses and streets in various neighbourhoods were also festooned with garlands and banners. This image is from 1953, the year of Queen Elizabeth II’s coronation. The unseasonal Buxton weather is also evident in the umbrellas and raincoats seen in some of the images. 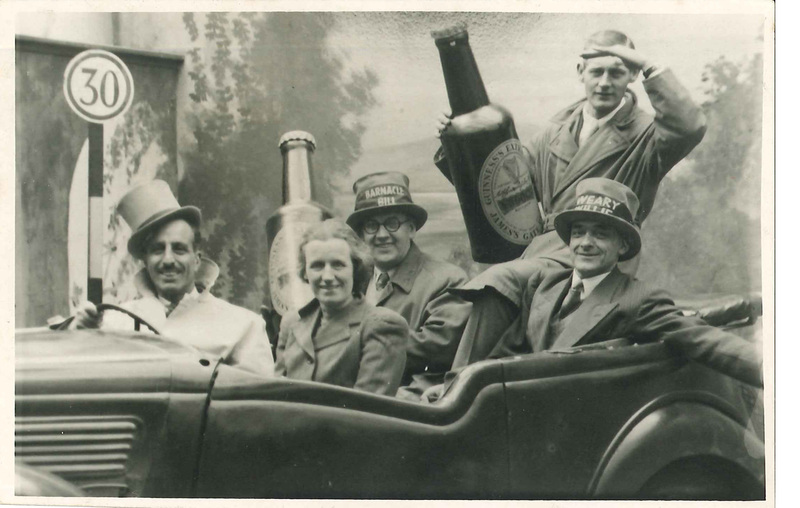 A note on the back of a photograph from June 1957 reads: ‘it was raining hard and we had to take most of the children off.’ Clearly the Buxton weather wasn’t enough to dampen everyone’s spirits as the ‘Cinderella’ float went on to win first prize that year. 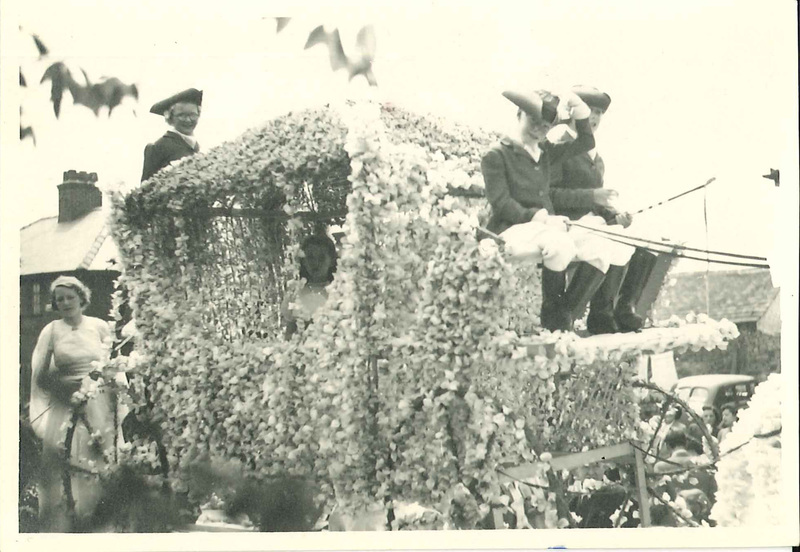 Myfanwy – who kindly donated her aunt’s photographs to the museum – can be seen as Cinderella sitting in the coach in the photograph below. The Cinderella float also featured a castle and four horses! We look forward to capturing and sharing more carnival memories in years to come. With no less than three new exhibitions at Buxton Museum and Art Gallery, there’s never been a better time to visit. On the first floor landing is a small yet fascinating history of the 175 year-old local tradition of well-dressing. Organised by the Buxton Well Dressing committee, the exhibition focuses on a character called Robert Brunt. Born in Buxton in 1834, Brunt became a local fancy goods retailer, as well as an artist and taxidermist, and a lifelong well-dresser. Buxton Museum has some examples of his unique work on display. Despite living in the town for a long time, I knew nothing about this remarkable gentleman and I found the exhibition a delight. You can see it until 20 June. In Gallery One, artist Annabel Carey celebrates the tree at the centre of our cultural, spiritual and physical existence. The Time of Trees examines the way in which the modern world regards the tree as a commodity rather than held sacred. Not your usual oil paintings, Annabel has created a series of triptychs and diptychs that can be rearranged to create different focal points and perspectives to reflect how nature constantly changes the elements of landscape. Included is an interactive exhibit where you can have a go at moving the pictures yourself. This thought-provoking exhibition is on until Wednesday 10 June. If you would like to meet Annabel Carey, she will be here on Sunday 3 May from 2 to 4pm. Starting from today is an exhibition by Christopher J. Beard entitled Arrangements from Landscape. Whereas the tree dominates Annabel’s work, Chris enjoys ancient sites and the rocks of places such as Arbor Low in Derbyshire feature in his work. 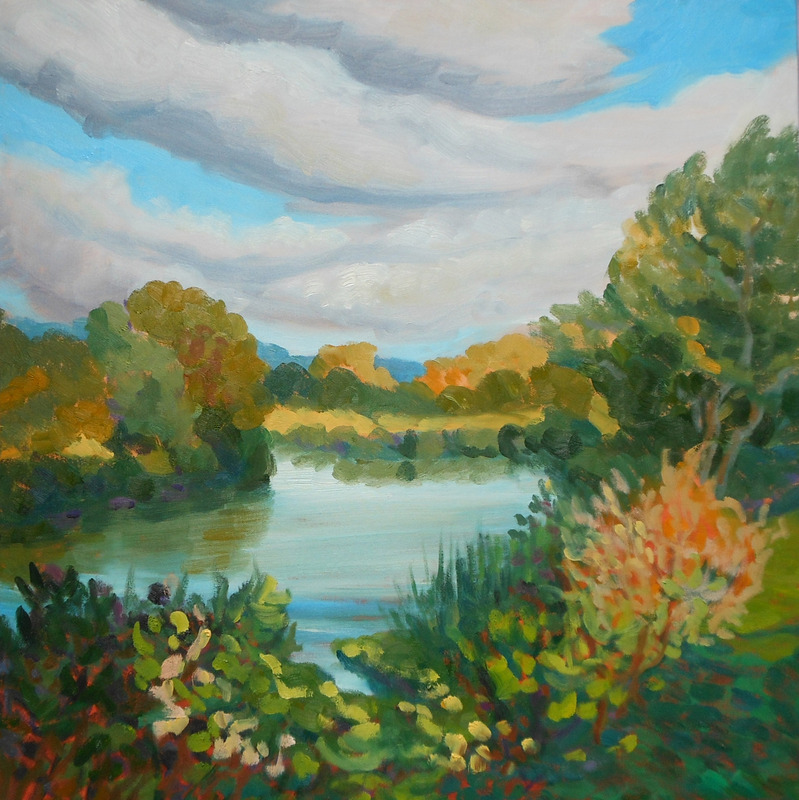 With an appreciation of the history of landscape painting, Chris strives to absorb the atmosphere of the places he visits and paints not just what he can see but what he feels. I’ve been a fan of his work for a while and was pleased when one of his artworks won a prize in our Derbyshire Open Art Competition in 2012. You have a chance to see that painting and many more until Sunday 5 July. 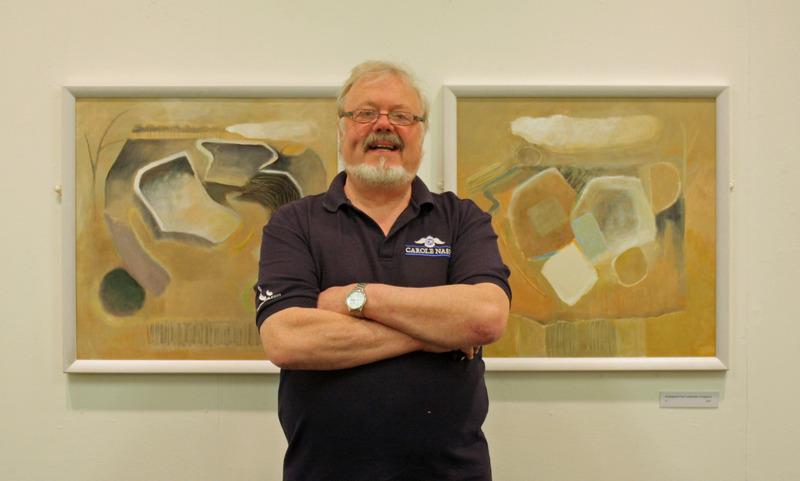 You can meet the artist on Saturday 2 May, 2 to 4pm or Friday 22 May, 2 to 4pm. Buxton Museum and Art Gallery takes copyright very seriously. Please get in touch if you wish to use any of the images on this website.